What is the Benefit of Offering Outplacement? Whether your company budgets for outplacement as a stand-alone benefit or as part of a severance package, the bottom line is that presenting this service to displaced employees is a smart business decision. Offering outplacement demonstrates to remaining employees, customers, vendors, shareholders and the community, in general, that your company values its human capital. Most importantly, it helps the displaced worker preserve their self-esteem and get re-employed more quickly. 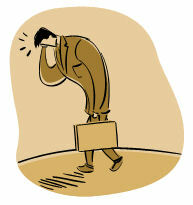 As executive recruiters, we speak to unemployed professionals on a daily basis. Today’s displaced employee is very likely to have access to a phone, computer and Internet. They no longer need an outplacement firm to provide them with office space and equipment. We have listened to what services these displaced employees tell us they would like their former employers to provide for them. With this in mind, we have created an outplacement solution that will be effective for them and affordable for you, whether you are downsizing 1 or 100 employees. We focus on providing the unemployed worker with what they really need –coaching from an expert who KNOWS and UNDERSTANDS the job market and what it takes to ace out their competition. We work with jobseekers via telephone and e-mail. This method reduces our overhead costs and allows us to offer more affordable outplacement services to your company. 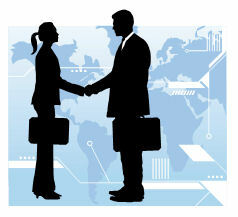 It also gives us the flexibility to work with displaced employees in any geographical location. Our client base consists of administrative staff to executive level professionals……all with the same goal, to transition to a new and satisfying career opportunity!